Quarried from southern India, the world-famous Kashmir White granite is in a reasonably high demand. 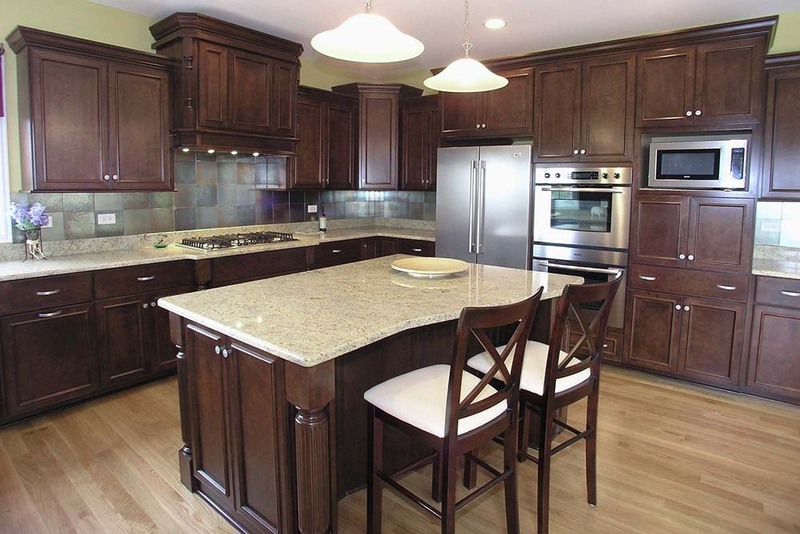 Thinking of putting in functional and strong Kashmir White granite countertops? Let’s check why and how you get an edge with the installation of countertops made of white granite. It has no momentous mineral veins or deposits. It is easy to view the subtlety of the stone in the lower light. It looks quite similar to its photograph. With the changes in lighting, the stone doesn’t alter its appearance. 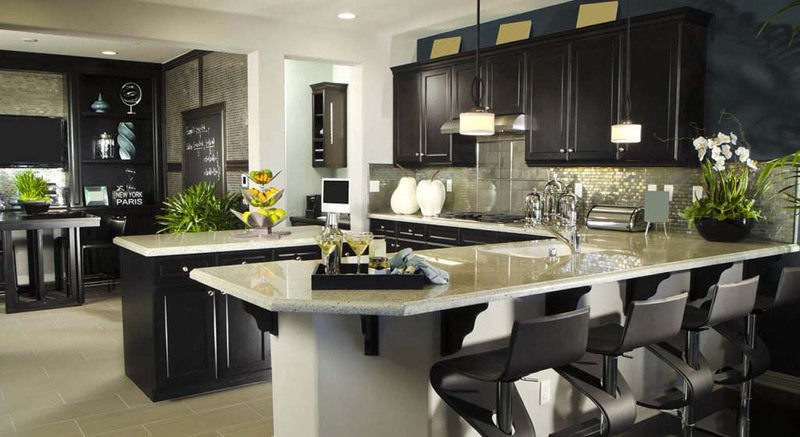 For having a strong contrast and modern feel, Kashmir White countertops work well against a black cabinet color. Well-processed New Kashmir White granite countertops also elegantly match with patterned tiles or wallpaper owing to their small pattern size. With leading white granite manufacturers in India, white granite lovers can find the right slabs that look good with white and black cabinets. Buying should be a smart decision when it comes to picking Kashmir white stone. In comparison with darker granites, white granite is characteristically more porous and prone to stains. That is why you should look at the maintenance needs of a granite countertop before placing an order. It will be good if you can go for a stain test that puts a light on the status of Kashmir White granite countertop slab’s porosity and acid sensitivity. Dark granites are highly stain-resistant and stain-proof as they have a slow rate of absorption. On the other hand, white granite is porous and prone to stain. 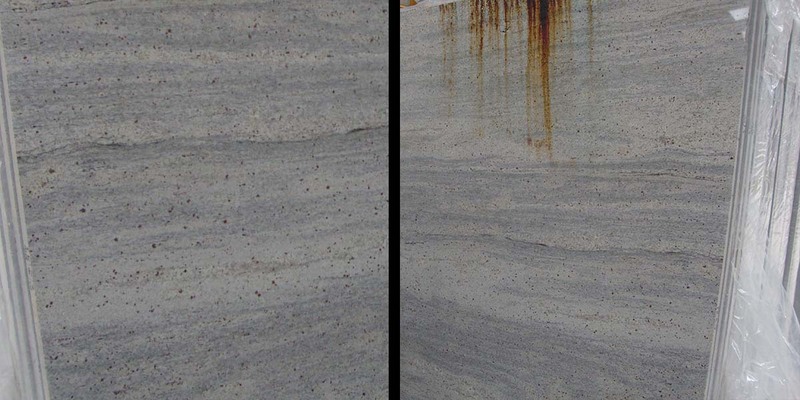 Use of high-quality sealants can enhance the time taken by a granite slab to absorb and stain. If you are interested in measuring white granite countertop performance, go in the favor of water (lemon juice) test for sealing. This test will help you know if the stone seller has used an advanced sealer for making a permanent bond with the stone. 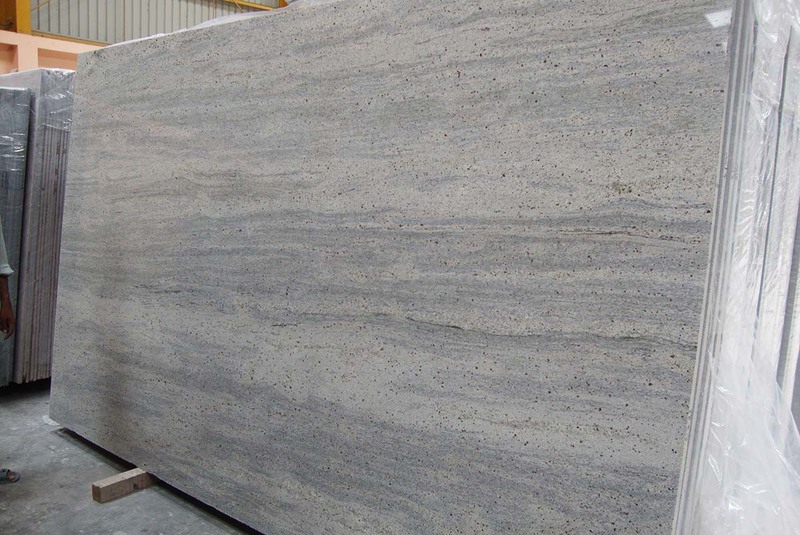 Generally, New Kashmir White granite is found in cut-to-size slabs; prefabricated countertops, and random slabs having standard 20mm and 30mm thickness. Being bright and consistent in light, New Indian Kashmir White granite countertops made from slabs and tiles simply add light to the space in which they are installed. With leading white granite supplier Regatta Granites India, all new Kashmir white marble enthusiasts can expect high-quality products that match the feel of surroundings and overcome all expectations in a proper manner. Whether you are searching for Kashmir white granite tiles cost or Kashmir white granite price in India, Regatta welcomes you to its website.